Following an excerpt from A Day In The Life, the show begins with Ritchie Yorke, music journalist and confidante of John & Yoko, relating some of his experiences with them. It turns out tonight is Yoko’s 83rd birthday! The music begins with some skiffle from the Quarrymen, including John Lennon’s first song, One After 909. The show really kicks off with A Hard Days Night, and a string of Lennon classics are reeled off in quick succession – I Feel Fine, You’ve Got To Hide Your Love Away, Norwegian Wood, Nowhere Man. Garry Burrows gives the briefest of introductions to place each song in context, but there is no waffle. The focus is on the music. A cracker 7-piece band features Garry Burrows (vocals and guitar), Rob Pippan (guitar), John Bywaters (bass), Dave Ross (keys & guitar), Matt McNamee (drums), Deb Brunotte and Nanette Van Ruiten (backing vocals). For obvious reasons they do not attempt to imitate the Quarrymen or The Beatles. No-one pretends to be Paul, George or Ringo. There are no McCartney or Harrison songs. Just John Lennon’s story told through his music. That said, the versions get very close to the originals at times. Ritchie adds some more recollections, and it’s back into another string of Lennon classics – Strawberry Fields Forever, Lucy In The Sky With Diamonds, Revolution, Across The Universe. To mark the point at which Yoko entered Lennon’s life Burrows sings a passionate version of Don’t Let Me Down, then it’s on to The Ballad Of John & Yoko, Come Together, Instant Karma, Imagine and Woman. 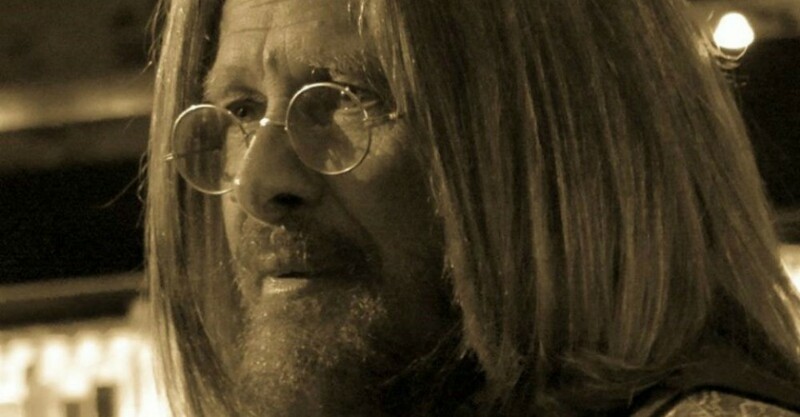 Ritchie Yorke returns to ask what a politicised John Lennon would make of today’s world – controlled by corporate greed and constantly embroiled in war. Cue a medley of Power To The People and Give Peace a Chance. An evening packed with well performed versions of the best songs of one of rock’s greatest writers – what’s not to like? Packed with well performed versions of the best songs of one of rock’s greatest writers.